That claim comes by way of a redesigned Cummins 6.7-liter turbodiesel engine and brings with it a host of impressive numbers. Most impressive is a towing capacity of up to 35,100 pounds and payload of 7680 pounds when properly equipped. The newest generation of Fiat Chrysler Automobiles’ infotainment system, Uconnect 4, is now available on the Ram Heavy Duty, and can be paired with a 12-inch touchscreen and Apple CarPlay. The new touchscreen allows drivers to manage multiple functions at the same time, including audio, climate, and phone. A 17-speaker Harman Kardon audio system is optional. 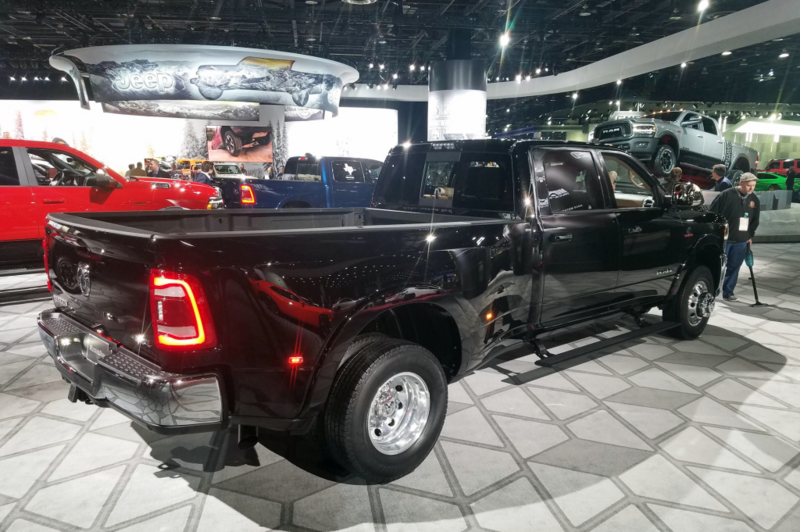 In addition to the aforementioned diesel engine, a slightly detuned Cummins engine rated at 850 pound-feet of torque is also available, as is a gasoline-fueled 6.4-liter Hemi V8. An 8-speed automatic is the only transmission available, regardless of powerplant. Returning for 2019 is the off-road-ready Power Wagon, which features among its many standard goodies a lifted suspension and front and rear locking differentials. Also standard on the Power Wagon are a 360-degree camera and heavy-duty Warn-brand winch. 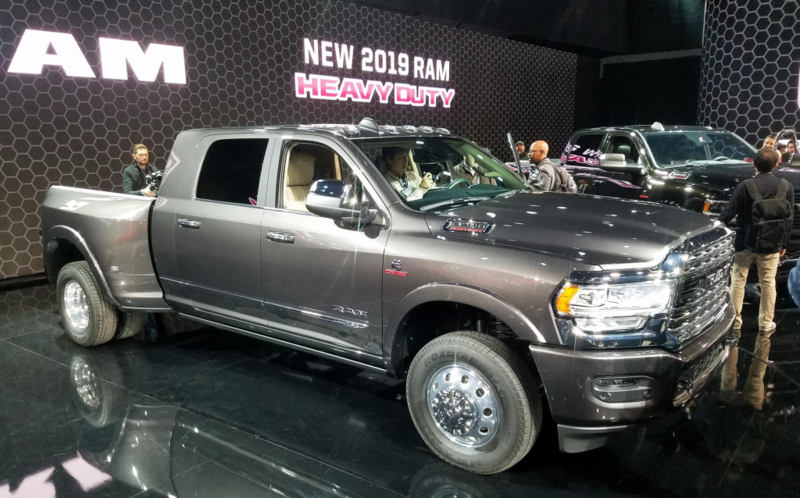 The new Ram Heavy Duty models will be built in FCA’s Saltillo Truck Assembly Plant in Mexico. 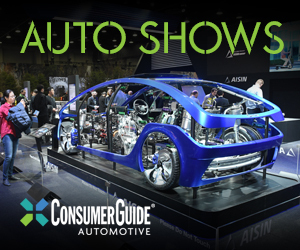 Expect the trucks in showrooms by spring 2019. We all knew the 1000-lb-ft barrier was going to be broken soon–now we know by whom. The Cummins relationship has served Dodge/Ram well over the years, engendering a fiercely loyal group of followers who would have been unlikely to change brands even if Ram wasn’t winning the torque war. 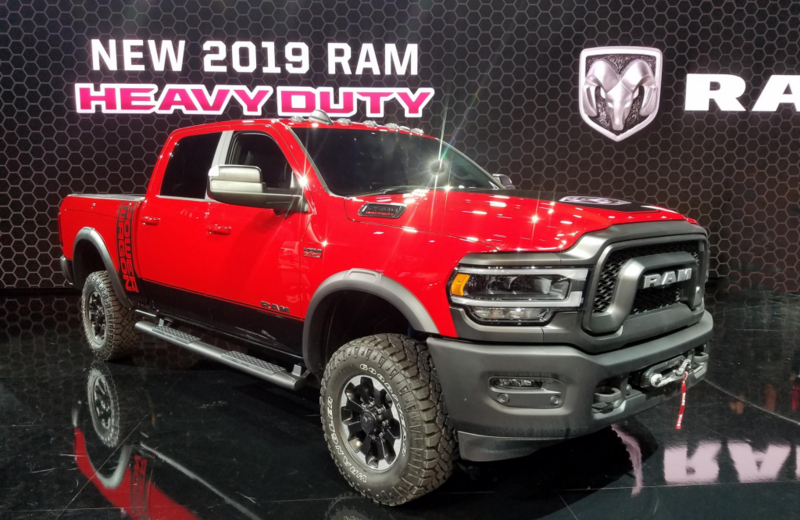 But for all of its brute strength, Ram has gone to great lengths to make the new Heavy Duty trucks as refined as possible. 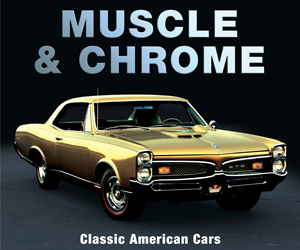 Though it may seem odd to boast about torque and premium audio systems at the same time, that is now the nature of the pickup-truck business. We eagerly await a chance to sample the new Heavy Duty and see just how refined all this work potential can be. Written by: Tom Appel on January 15, 2019.on January 16, 2019.